This recipe is awesome and unbelievably easy! Broiled Shrimp Scampi is also good served over pasta. 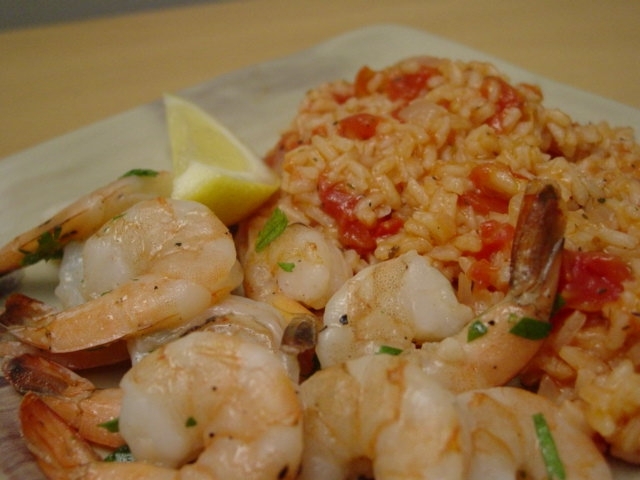 This is a great way to cook shrimp with less oil. A broiler heats from the top, so you need very little oil to prevent food from sticking to the cooking surface. 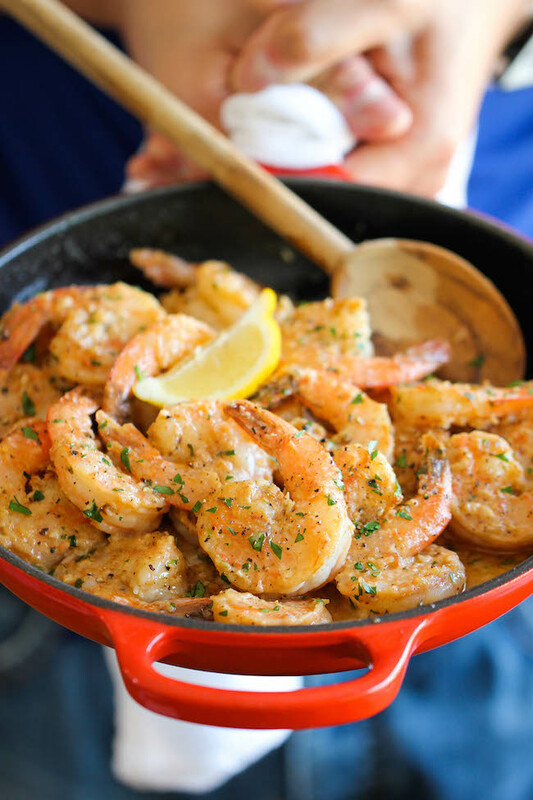 Broiled shrimp scampi takes about 10 to 15 minutes to do (mostly prep time). As for the rice pilaf, you definitely want to stick with long-grain type. Long grain rice is long and slender. When cooked, the grains remain separate and fluffy. 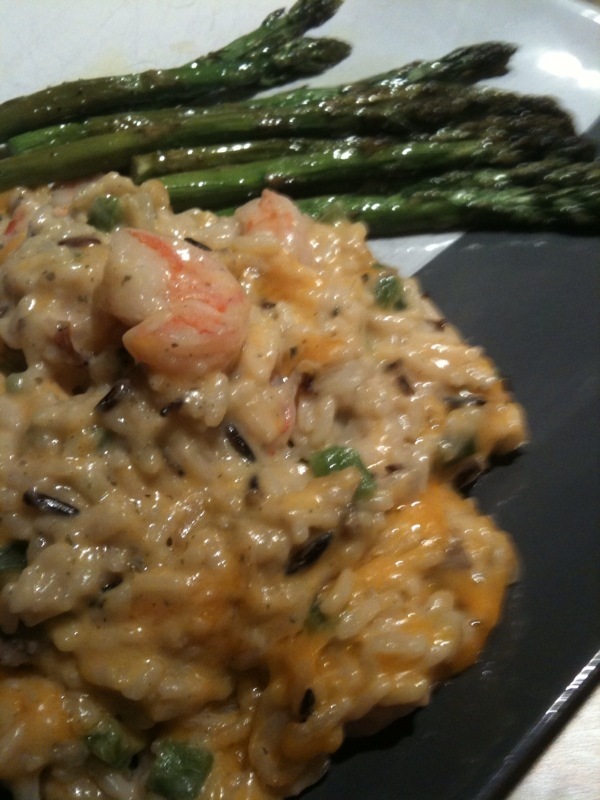 Long grain rice is great when used as a side dish or a main dish. Feel free to use the flavored canned diced tomatoes in this particular rice pilaf. The rice pilaf is about half hour to 40 minutes (prep time included).